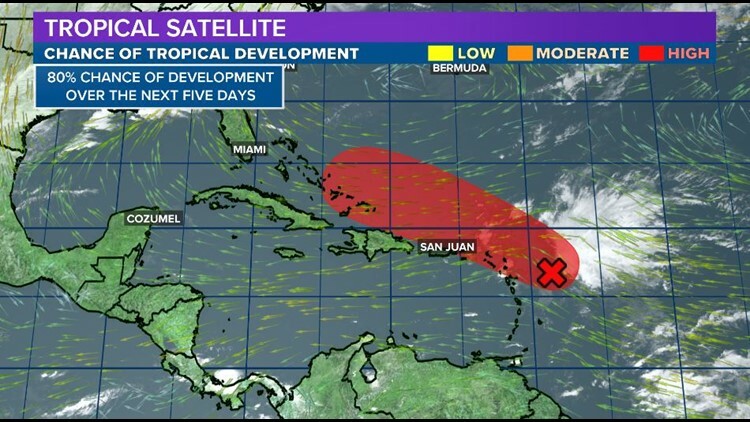 Columbia, SC (WLTX) — The National Hurricane Center is a watching a tropical wave in the Atlantic. 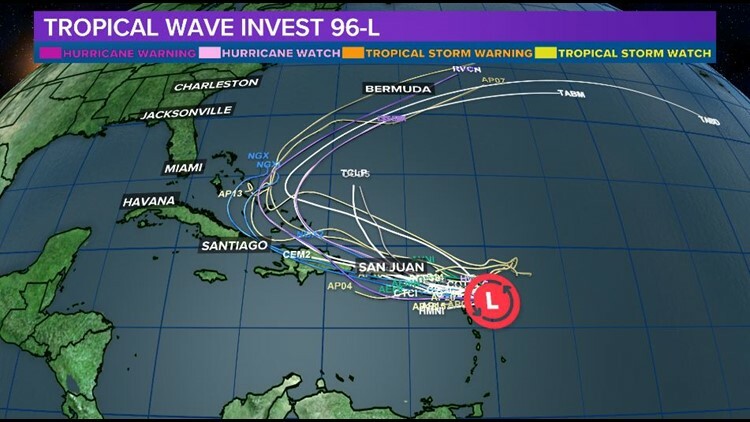 The wave may become better organized and form into a storm this week. 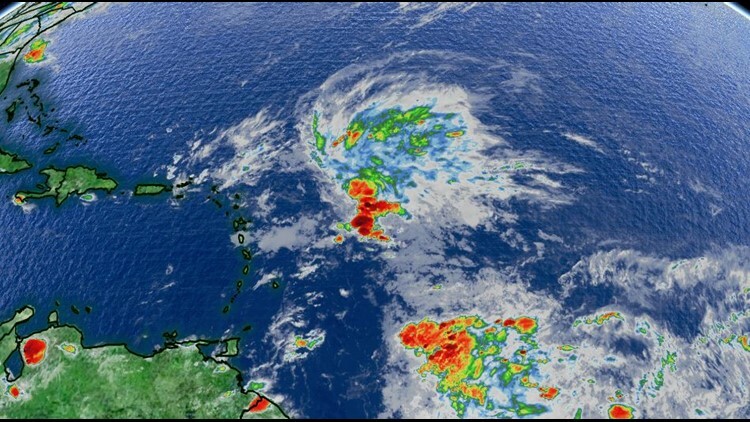 The tropical wave is about 200 east of the Leeward Islands. Environmental conditions are expected to become favorable for further development over the next few days. The system may become a tropical depression by the middle of the week. The disturbance could bring rainfall to Puerto Rico, but it is not expected to impact the mainland of the United States. A cold front will move off the East Coast by the end of the week and push the disturbance out to sea. The hurricane center gives it a high chance of development over the next five days. If it were to get a name, it would be Patty. Hurricane season officially continues until November 30.